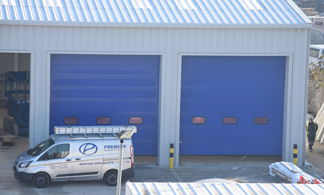 Premier Roofing Systems provide a customer focused and cost effective solution for your industrial building envelope (roof and wall cladding systems), for both new build and refurbishment projects. We work closely with main contractors and designers, to ensure your new-build project provides both an aesthetic and cost effective solution for your building envelope requirements. The company’s product and system rangers include composite panel systems, built-up twin skin systems, guttering and rooflight. We offer an assessment of your existing building envelope condition, to provide the best and most cost effective solution to ensure the future longevity of your building. This can be from gutter cleaning/rooflight replacement/cladding damage repairs through to overcladding or complete replacement projects. We also specialise in resolving gutter problems with either guaranteed coating systems, or installation of plygene liner systems.